12" action figure. Plastic/Fabric. 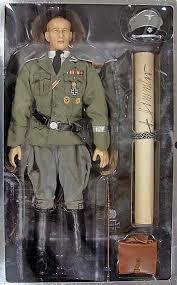 Limited Edition (600) figure of SS-Obergruppenfuhrer Reinhard Heydrich in Black SS uniform and real leather black greatcoat. Includes full size SS ring replica and certificate. 12" action figure. Plastic/Fabric. 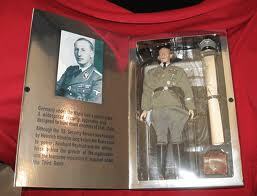 Limited Edition figure of the notorious Reichsfuhrer Heinrich Himmler. Includes full size SS Honour Ring replica and certificate. 'War Criminals of the 20th Century' series.